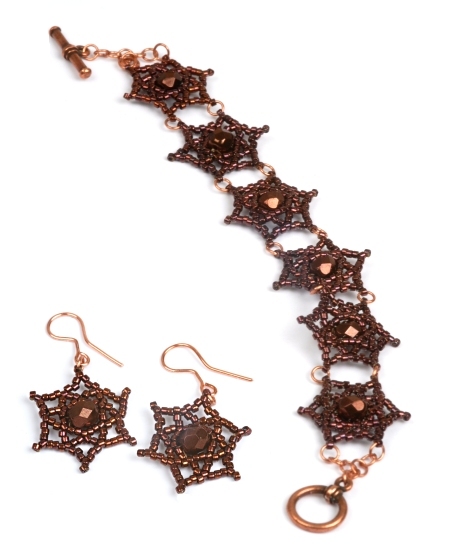 Learn how to make these star motif based jewellery items. The same motif can be used to make a bracelet, necklace, pendant or earrings. This complete 4 page step-by-step tutorial contains all the instructions, diagrams and photos you will need to make your own version of the star motifs. This project was originally published in issue 11 of Bead Magazine.